At Sond Industries we pride ourselves on providing excellent services to our customers with our prompt delivery and attention to sophisticated details to provide the highest level of quality. 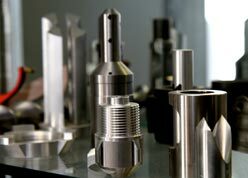 With over 30 years of experience, Sond Industries provides a full scope of intricate machining services, both in-house and through a qualified vendor’s network. With our wide array of CNC lathes and CNC vertical machining centers, there is no job too big or too small for Sond Industries. 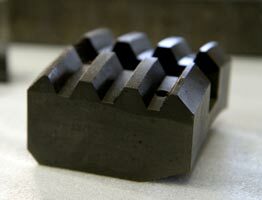 We pride ourselves on facing all machining challenges head-on. While holding tolerances up to +/-.0001, and completing all precision prototype work on time or ahead of schedule. We also have the capabilities to mass-produce products in an efficient manner. Sond Industries has a full working set of manual engine lathes as well as manual vertical milling machines. These machines provide support to the CNC machines in producing items efficiently and cost effectively. We are able to utilize these machines by completing a majority of our drilling, and roughing in house which cuts costs for our customers. Having the ability to do off-center turning and threading on our manual machines, our machinists complete parts when it is economically viable. Portable measuring arms allow you measure on the machine or shop floor. They feature no homing procedures, simplicity of operation and reliable 3D measurements. Absolute encoders “know” their positions at all times – when the arm’s turned on, it’s ready. Articulated arms can be equipped with different length probes and scan heads to measure even difficult-to-access points either optically or by touch. With our approved vendors’ network, Sond Industries has the ability to provide a facility which is fully equipped to service all your requirements outside the machining scope. Whether it be anodizing to welding, gas nitriding to copper bead blasting, we are equipped to have it all done. There is no need to search for separate vendors, let Sond Industries provide you a full quotation with all services. 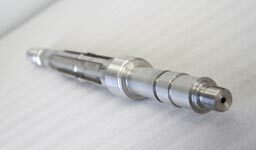 Sond Industries specializes in machining proto-type products/parts to meet your production needs. With our 30 plus years of experience we have worked with various exotic metals including titanium, specialty aircraft alloys, precious metals, and many more. 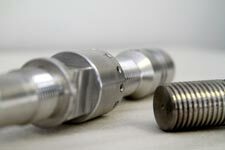 Sond Industries can provide you with machining solutions for all your various projects. Whether it be for the medical industry or the sport industry, we have the ability to work with our in-house engineers to obtain a solution to the most advanced machining problems. Our team will work alongside you to complete a prototype to your exact requirements, helping you with design issues and functioning on a budget. Our company prides itself on being able to provide quality products to all our customers. With first article inspections being performed on the floor, we avoid all errors that may arise. All of our parts are fully inspected to ensure all dimensions are as per the requirements of the project specifications. Our in-house quality control inspectors allow us to make sure tolerances are being held as per the project drawings, and also to insure that all mistakes are avoided.